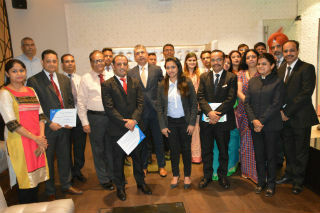 An MDP WORKSHOP was organised on 18th May 2018 at Hotel, THE PARK, Connaught Place, New Delhi. 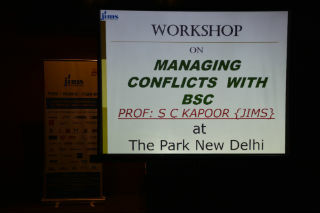 The workshop was conducted by PROF: S C Kapoor JIMS Rohini for the Senior and middle level Managerial staff. 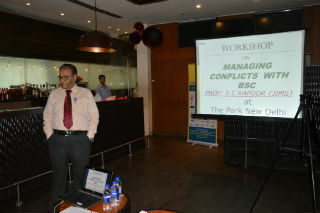 The Management of the hotel had specially requested to organise a workshop on “Understanding genesis, managing CONFLICTS with Boss Subordinate Colleague (BSC)”. 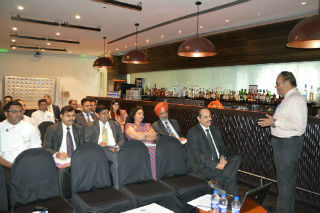 The workshop was designed specially related to HOSPITALITY situations. 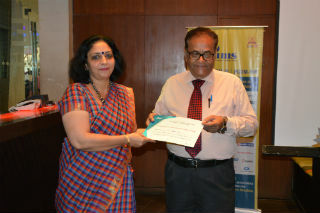 Twenty two participants representing various departments proactively participated. Real life situations were presented on the theme with critical analysis of the CAUSE, CONSEQUENCE, CURE and Control process to address the most sensitive issue often confronted at work place. Participants were taken through a self-assessment test to understand their natural style to combat conflict. 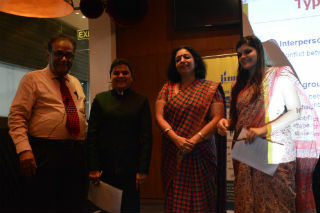 Reformers & examples from Mahabharata and Ramayana were shared to enable deep impact of learning. Participants shared their experiences and beliefs held on the subject. A video from BOLLYWOOD movie THE BORDER was also shown and participants analysed the situation and the strategy adopted to address the problem on the spot. 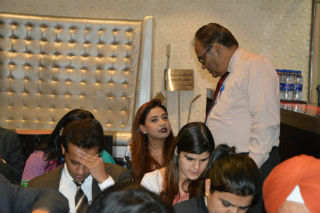 The participants were totally involved in the workshop with enthusiasm, curiosity to learn and visualise situation. Director HR, Mr. Deepak Behl expressed his gratitude to the institute for the effectiveness of the message delivered from the workshop. The participants expressed desire to have more MDPs on other topics in future be organised by JIMS Rohini. The feedback of the workshop is more pronounced as to the impact of the programme on the participants. 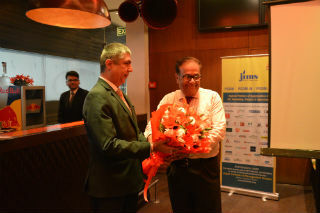 At JIMS Rohini, we believe in collaborative approach with Corporate in sharing experience and knowledge with practical application to the situation to address the problems.